Jinhua, China - There’s no masking the facts. One Chinese factory is expecting Donald Trump to beat his likely U.S. presidential rival Hilary Clinton in the popularity stakes. 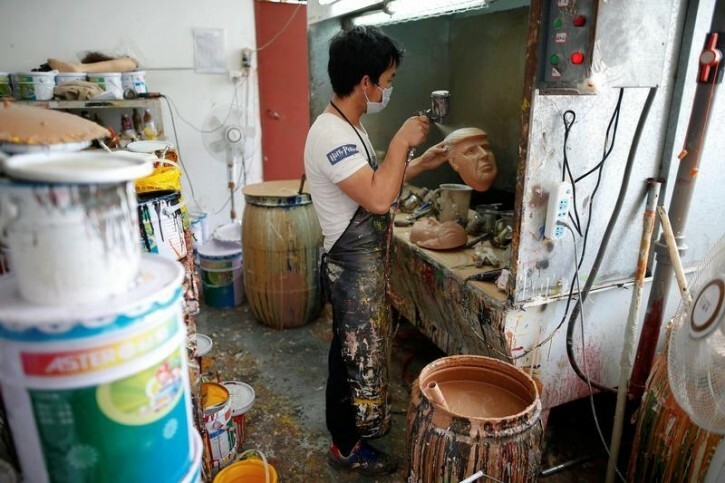 “Even though the sales are more or less the same, I think in 2016 this mask will completely sell out,” said factory manager Jacky Chen, indicating a Trump mask. 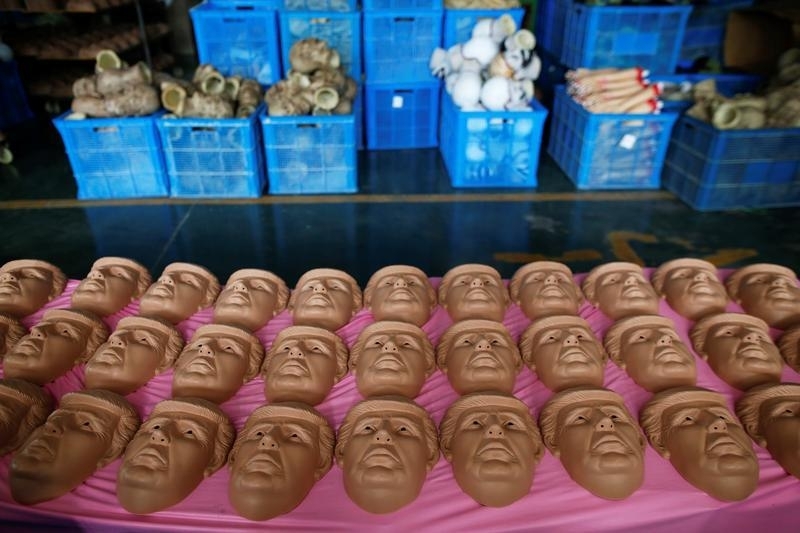 The firm was already beginning to stockpile the de facto Republican candidate’s mask, he said. That is a big turnaround for the real estate billionaire once considered a fringe figure in the race, but now the Republican party’s presumptive presidential nominee. Trump has been less than positive in his comments about China, asserting that the world’s number two economy had waged “economic war” against the United States, and used crafty business practices to steal American jobs. China has largely refrained from responding to Trump’s barbs, but Finance Minister Lou Jiwei described him as “an irrational type” in an interview in April. 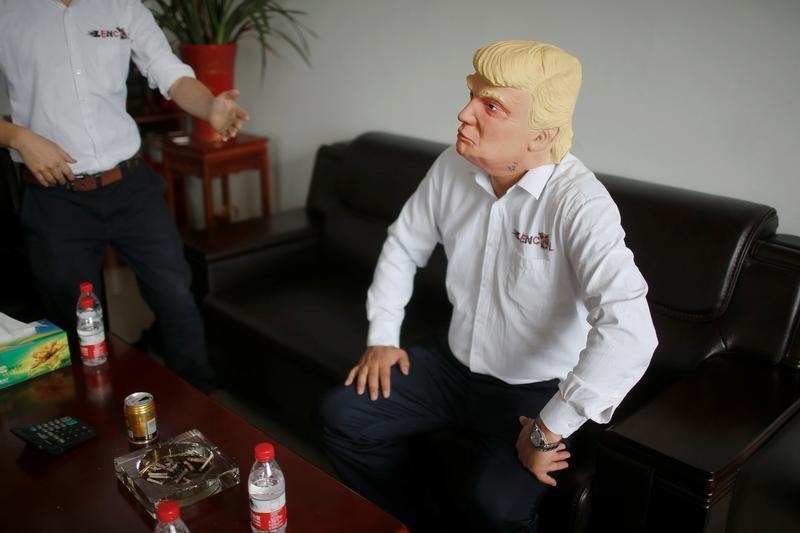 Asked if he knew whose face he was making, 43-year-old worker Liu Dahua told reporters: “It’s the president of the U.S., right?”. While Trump just keeps talking about China, China meanwhile are making $$$ off his face! What happens to all these masks if Donald does not win?? ?